Bush and beach for the whole family. Callistemon comfortably accommodates four people. It has two bedrooms comprising one queen bed and two single beds. The fully-equipped kitchen, living room and private veranda are perfect for family gatherings. Did you know: There are over 50 varieties of Callistemons, more commonly known as bottlebrushes, growing throughout coastal Australia. The flowers come in many colours ranging from reds, through to greens, yellows and whites. 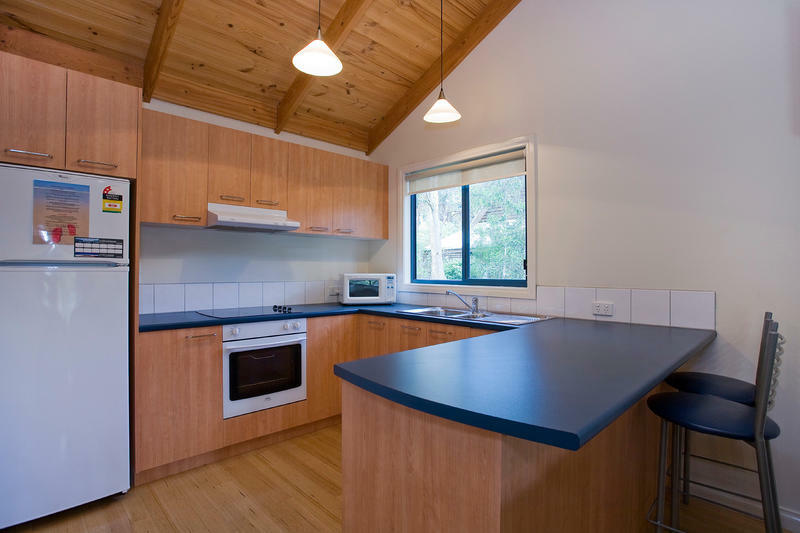 "Great place for a quiet weekend away, with everything you need. We'll be back!" "June's place is wonderful! Has everything you need & more! Fantastic location! Look forward to staying again!" "The fireplace was handy when it was raining outside. The place is bigger than the pictures. There is living area, kitchen, two bedrooms and a veranda. A pleasant stroll will find you at magnificent beaches.